Fall has fully landed upon us. You can smell it in the air! It suddenly turned colder, the air is crisp, the wind is blowing and the leaves are starting to color. Fall is my favorite season, certainly when it comes to my wardrobe. I love layering and I’m so excited I finally get to show you my favorite accessoire: scarves! My camera was having issues again and the photos came out blurry and the colors were faded. I threw over a rather strong effect (CinemaScope by Picnik) to get some life into them. At first I thought I’d just not use them but I know how much K dislikes hates being my photographer and he would use it as an excuse next time I ask him. I should get myself a tripod. It’ll save his life. Tomorrow is my first day of school. So excited to meet my new classmates! Next Post That’s so pinteresting! That is such a pretty outfit! The dress is amazing. Such an unusual print! I love your outfit. The print of the dress is great and I love the color of the tights. I love Fall too, but right now the Fall flowers in bloom are really doing a number on my allergies and sinuses. I can't wait for it to end. I love how your scarf has the same punch of colour as your tights, they both are the perfect touch! 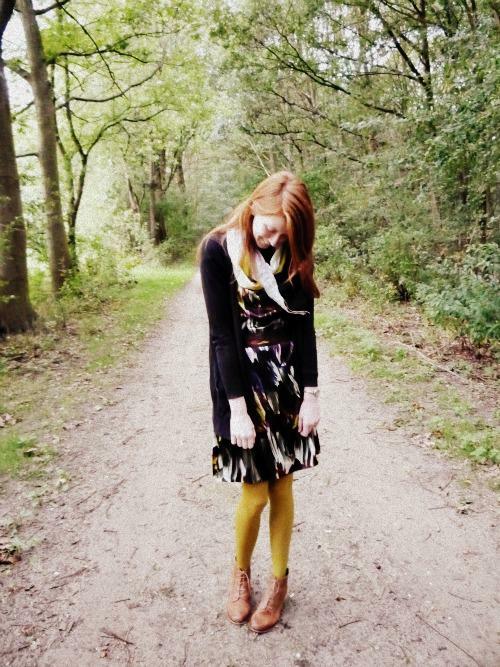 Love the print of the dress and how you styled it with that mustard tights, so original! je schoentjes zijn echt heel gaaf <3 herfst is er inderdaaad, dubbel en dwars, had vandaag gewoon mijn winterjas aan en nog koude handen! bweeeh! The colour of your tights is gorgeous too! Superleuke outfit! Ik ben echt een fan van die herfstkleuren 🙂 Interessante print op je kleedje trouwens 😉 Hahaa, en ik weet ook hoe het is om een vriendje te hebben (nu ja, ik neem aan dat Kenneth je vriend is :p sorry if I'm mistaking!) die het haat om foto's te trekken van mijn outfits.. Erg he? Owh, en succes met je eerste schooldag morgen 🙂 Ik ben ook benieuwd naar hoe het zal zijn op hogeschool.. Ik ben unief nu zo gewoon! Ach, we'll see. Een mega-reactie of zo, ik weet het, hahaa! Sorryyyy. I love the print of your dress! 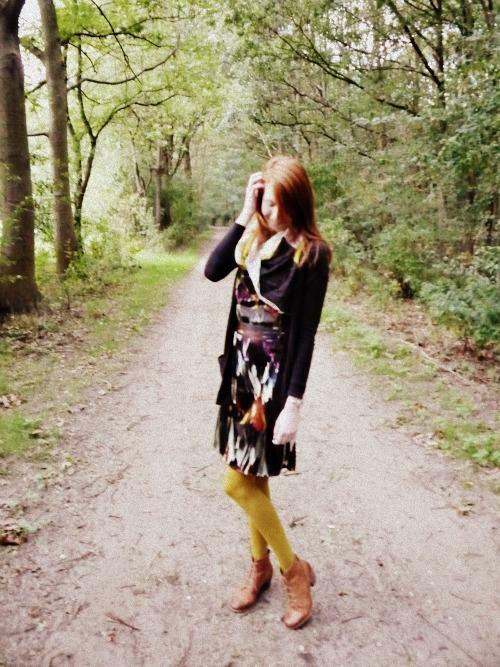 And those mustard tights and leather boots……I am swooning over here! Gorgeous!! The colors in the dress with the tights are great together. I am having trouble with my camera too. It's due to my clumsiness though and I kind of broke the lens a little bit. Mooie outfit, vind de kleuren goed staan bij elkaar! yay for gingers with fabulous style! So… I was totally sure I had left a comment (it was long and everything) and it has disappeared. So imagine a long, funny, glowing comment. 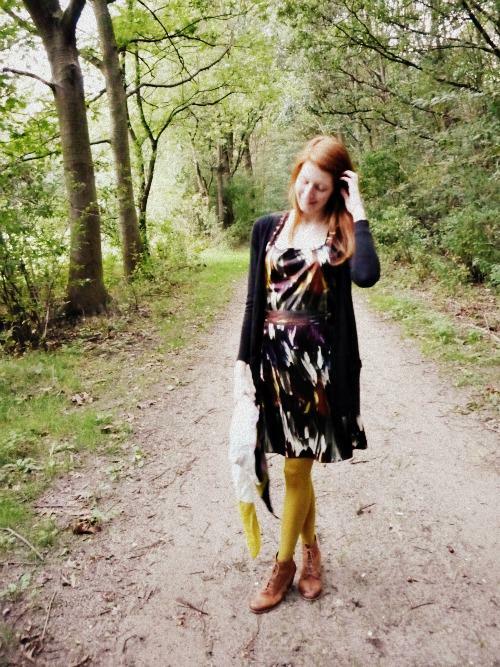 the print and colors of your dress seem so perfect for fall and i just love your mustard tights! Mustard thighst are very interesting. those boots are amazing ! and ur just so pretty! Prachtige outfit en kleuren meid! 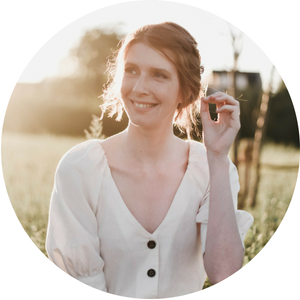 Je hebt ook het perfecte herfst-haar! ben ook gek op de herfst qua kleding! I just love the colors here. And the print on your dress is gorgeous! aw, your outfit makes me so excited for the fall season to finally begin. love these pictures girl. you are simply gorgeous! Those are some sweet tights and they look awesome with the toffee coloured boots! Your pictures from Versailles were amazing and I visited Paris 3 years ago so seeing the Seine River, Notre Dame, and Eiffel Tower brought back fond memories! So glad to discover your blog! This outfit is the definition of autumn, Nicki! oh yes you're totally rocking the style! 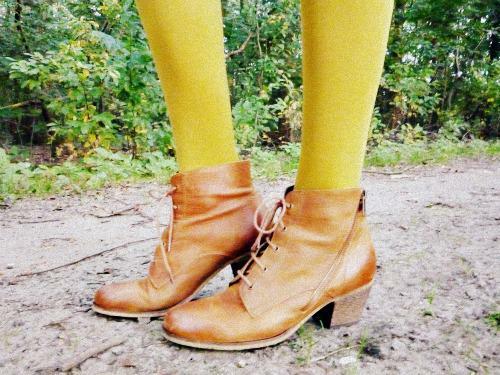 i love leggings/tights with boots, but i've yet to try mustard yellow! love the color palette!! A tripod is the best investiment! You can get them pretty cheap on eBay too. I use one because my boyfriend is kinda terrible at taking photos … he, he. PS thanks for the sweet comment on my blog. Such a pretty outfit! I love the boots and tights color combo, but I am paralyzed with jealousy over your weather…it's still basically too hot for jeans where I live! I love the pop of color from your tights! Great look! you really can pull of those lovely tights! mustard and ginger, YES! high five!!! Ik heb ook laatst zo'n okergele kousen gekocht, echt mooie kleur voor in de herfst hé! Nice outfit! I love this combination of colours! I'm in love with those yellow tights and your boots. I would love to have one of each! Love your mustard tights as well as your shoes, eh. Your whole outfit is chic and cool too.